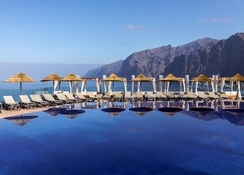 The views from the clifftop Hotel Barcelo Santiago are hard to beat and families, couples and sun-seekers alike will love this hotel. Overlooking the island of La Gomera and Los Gigantes, in five minutes you can be on the long, sandy beach of Puerto de Santiago, dipping your toes into the sparkling Atlantic waters. 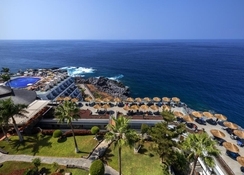 And just minutes away is the lively and bustling resort town of Playa de Arena. 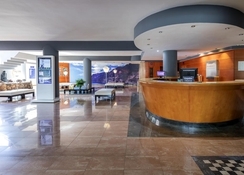 There are several bars and shops located close to the hotel, which also offers a snack bar and restaurant with delicious international cuisine. 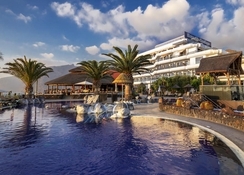 Hotel Barcelo Santiago, with three outdoor pools - plus another one just for the kids - is perfect for a blissful, sun-soaked holiday on the beach. Its spacious rooms offer views of the pool, sea or the dramatic mountains and the resort has a cool and stylish feel, with décor suiting the island vibes and Spanish heritage. Hotel Barcelo Santiago is located between Los Gigantes and Puerto de Santiago, 200 metres from the beach and 1.5km to Playa de la Arena. There are 412 rooms, offering fantastic sunset views across the island. Choose from modern Double Rooms, Double Sea View Rooms, Superior Rooms with Sea View that includes a free entry to the Spa. There are also elegant Superior Rooms with a Hot Tub, offering views of the sea and a free entry to the Spa, in addition to Junior Suites, where the terrace comes with comfy sunbeds and a small dining area. 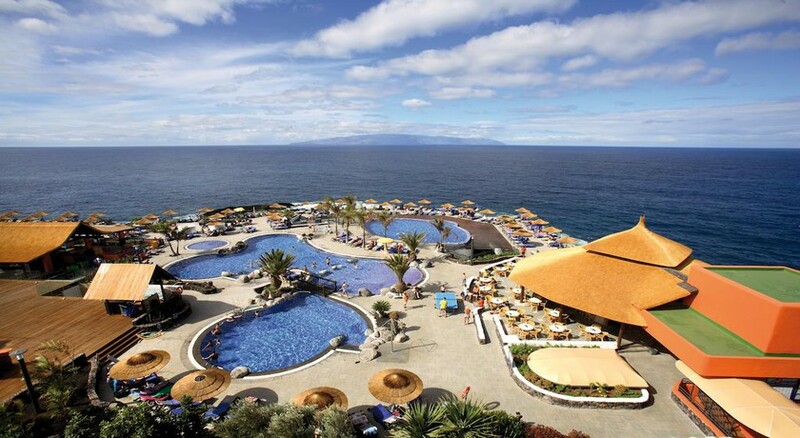 Admire the views of the gorgeous La Gomera as you enjoy buffet meals at the main restaurant Los Dragos, with live cooking stations, serving international cuisine. On some days it is a tapas bar, where you can enjoy Spanish wines as you look out at Mount Teide from the terrace. You can also head to the pool snack bar, which serves you as you relax on a sunbed, in the shade of palm trees. Hotel Barcelo Santiago features three outdoor swimming pools, including one that’s heated during winter, and with a child-friendly area. There are several entertainment options for families, with a mini-club for kids offering craft workshops, a tennis and multi-sport court, and fitness studio or have a game of pool. Venture out of the hotel to spot sealions or visit the golf course around 10 km away. Or pick up some water sports equipment and head to the beautiful beach five minutes away. In the evenings, there are live tribute bands, flamenco dances and folklore shows. To de-stress, book a session at the spa, which comes with whirlpool baths, hydro-massage seats, hot tubs, Turkish baths and Jacuzzi. There’s a gym, too, where you can work out on the machines or lift weights. Cash transactions at this property cannot exceed EUR 2500, due to national regulations.